主細胞 較暗 多 較小 製造副甲狀腺素 (see below). ^ Cave, A.J.E. Richard Owen and the discovery of the parathyroid glands (PDF). (编) E. Ashworth Underwood. Science, Medicine and History. Essays on the Evolution of Scientific Thought and Medical Practice 2. Oxford University Press. 1953: 217–222 [2009-07-20]. 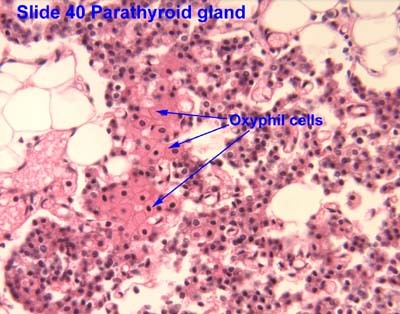 ^ Eknoyan G. A history of the parathyroid glands. Am. J. Kidney Dis. November 1995, 26 (5): 801–7. PMID 7485136. doi:10.1016/0272-6386(95)90447-6.